The fashion ecommerce sector has seen a meteoric rise over the last few years. No surprises here, this trend is set to continue with an increase of 18% in overall sales in 2015. While online fashion retail has made apparel and accessories of any kind accessible to individuals all over the world, ecommerce entrepenuers still face some huge problems along with new competitors popping up daily. To help you tackle these problems, We’ve provided 5 tools that every fashion retailer must be using. Let’s jump right in! With upwards of 30% of your traffic coming from mobile devices, a responsive website is a necessity. Most fashion products are visual and primarily mobile social channels like Instagram and Pinterest are sending you a good deal of mobile traffic. If your site isn’t responsive to various devices, your shopping experience is suffering, your customers are frustrated and you’re missing out on sales. ShopPad solves this problem by creating a mobile responsive website without you having to write a single line of code. ShopPad supports over 95% of mobile and tablet devices and creates an app-like experience for your store. Your customers will never have to worry about pinch-and-zoom and your products will be beautifully displayed. 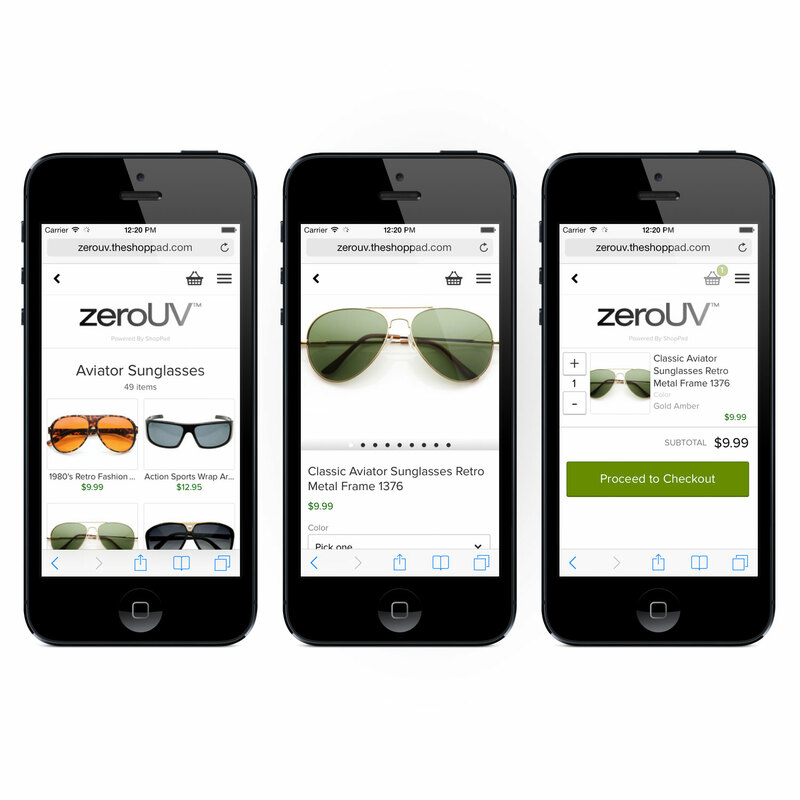 Check out ShopPad today for an simple mobile solution for your store! Personalization has become quite the focus in online retail. Each individual has their interests and a unique taste. With fashion, variables like sizing, color, and fit give you even more to worry about. So how do you create a personalized web experience that takes all of these factors into consideration? Monetate is an ecommerce tool that enables you to tailor your website experience to each individual on your site. Monetate will change different elements on your website to display relevant info based on data you’ve collected. 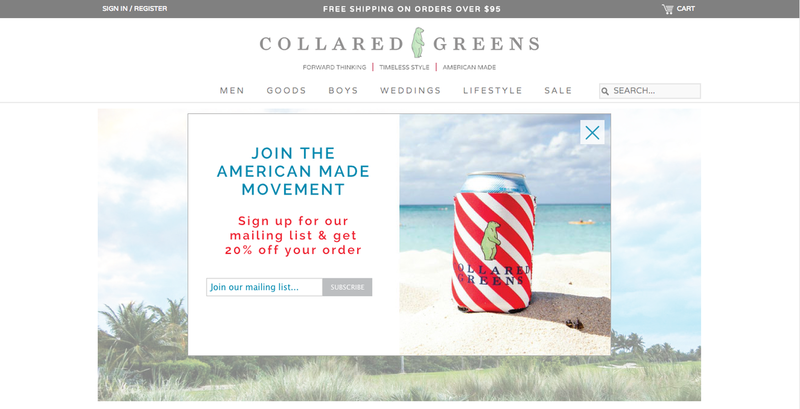 You can also use Monetate in your email campaigns to hit shoppers with a curated message that changes in real time. If you you’re looking to add more personalization to your shopping experience, then check out Monetate. As an online fashion retailer, Instagram is where your social marketing begins. The visual platform has become the place where consumers go to view the hottest styles in clothing and accessories. But for brands, it’s difficult to say that Instagram has directly led to sales, even if you have a massive Instagram following. Curalate provides two simple tools that drive your Instagram followers to make purchases. Like2Buy simply creates an Instagram-like website in which you can display images with product descriptions that link directly to your product pages. Instagram users can see something they like and directly visit the product page to purchase. Just paste the short link in your Instagram bio and you’ve added another sales channel for your store. Fanreel allows you to use photos taken by fans and followers for different things. Use these photos as product images or display them throughout your site. By incorporating user generated content, you can drive more engagement, display your products used in real world situations, and use customer testimonials. By incorporating user generated content, you can create brand loyalty and save some time with product photography! The biggest problem for online fashion retailers and shoppers is sizing. As a shopper, it’s always been difficult to determine how something will fit which can kill a sale and also leads to a high rate of returns. So as a business owner, you need an alternative to those sizing charts that just aren’t cutting it. 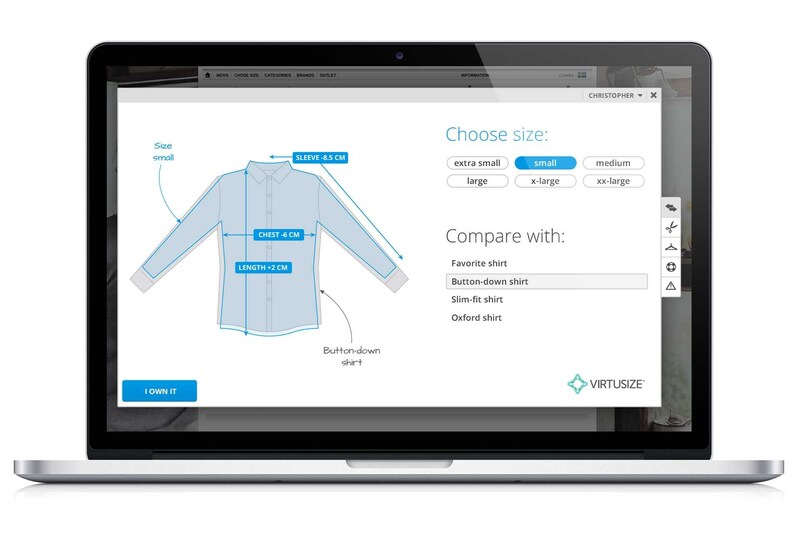 Virtusize is an interactive fitting solution which which virtually displays how garments fit. The tool lets you measure your own pieces of clothing as reference to see how a particular piece will fit you. Don’t know what to measure? Virtusize gives you a complete tutorial on what to measure. This is one step closer to bringing the in-store experience online. Decrease sizing-related returns, improve your store experience, and increase brand loyalty with Virtusize! You’re putting a lot of effort into driving visitors to your site and you’ve got your marketing in place to retain these customers. But what are you doing to convert these visitors into leads and customers? The answer for fashion retailers is to use promotions. By implementing on-site promotions, fashion retailers can directly engage their most valuable shoppers with enticing offers like discounts, free shipping, giveaways, and more. These promotions can be used for a variety of purposes including boosting sales, building your list, growing your social fanbase, and clearing inventory. Even tackle that cart abandonment problem with exit offers! Engage and convert your shoppers in a practical way on-site promotions! Justuno is an on-site promotions platform that allows you to convert your traffic into sales and leads at a much faster rate. Justuno gives you full control over your promotions with fully customizable design and advanced targeting/segmentation so you engage shoppers how you want to. Sign up for a free Justuno account today and start converting your traffic!